Now you know me, I like to make just about everything myself. However there are also products I liked to have on hand. I have some sauces, ketchups, mustards, mayonaise and things like that. They come in handy even though I make many of these items from scratch too. I used to have salad dressings in my refrigerator too but I’ve not found many gluten free ones that I liked. 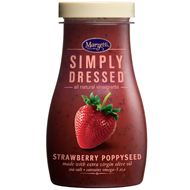 I had just found the Simply Dressed Salad Dressings from Marzetti literally the week before they contacted me to review their products. I liked the fact I could read the ingredients and knew what they were. You can find these dressings in the refrigerated sections because they are not full of preservatives that keep dressings shelf stable. I told them I was just about to try these products and if I liked them I would share my experience. I warned them I’m very opinionated and tell it like I see it and they still agreed. Or you can use this list I’ve created here for their Simply Dressed line. I would recommend to the company that they just go ahead and mark the jars gluten free so when shopping we know which ones to buy. It was however great to be able to get so much information on their website. Some of their dressings have dairy in them so I’ve not tasted those dressings. If you have please let me know about your experience. Thousand Island Salad Dressing -This one I am not really sure why it’s not listed as gluten free. I’ve not tasted this dressing since it’s brand new. I tried all of the gluten-free dressings that are gluten and dairy free. The Pomegranate, Strawberry Poppyseed and Balsamic were my favorite. I’ve used them in many salads and other recipes that I will be sharing soon. The Champagne was OK but not my favorite and I did not like the coleslaw dressing which I found very interesting because I grew up on the original Marzetti Slaw Dressing. After looking through their site I see that this original slaw dressing is gluten free so if you eat soy you can try that version. On the Marzetti website they have all of their products listed with nutritional information. They also have lots of recipes and even recipe booklets you can download including the Simply Dressed Recipe Book. Keep in mind this was not written to be gluten free so make adjustments where needed. 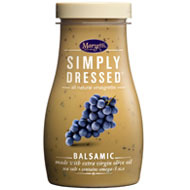 Coming this month and the next month I’ll share some of my recipes using the Marzetti Simply Dressed Salad Dressings and I have a special Simple Salad prize pack giveaway. So start thinking about your Simply Salad Recipes you’ll want to share. What a great resource, Diane. It makes shopping easier. And a shout out to a company based in my hometown. Here's a link from a local blogger with some company history that reminds me of the cafeteria serving Johnny Marzetti for school lunch. http://jarsloth.wordpress.com/2011/09/21/respect-… Nice to see them working with the gluten-free community. they sound great and the packaging is gorgeous! Good point Melissa about the labels. I guess I'd like an easy and reliable system to know if foods are gluten free. I did actually taste these products and I'm very sensitive to gluten and had no reaction so that's a winner for me. As with any products one should always confirm if something is gluten free since recipes can change. I can't wait to share what I'm doing with these dressings next! Thank you for stopping by. Thanks for doing the "legwork" to check these out for us! I would still like to know what the "natural flavors" are as this is not forthcoming info. It sounds like they are hiding information to me. Hmmm, I'd still like to try that slaw version as I absolutely adore coleslaw with that old-school creamy taste. 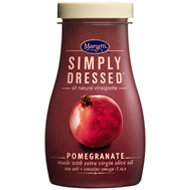 Love the packaging of these new dressings – so cute! These sound fantastic! it's been a while since I bought dressing, I might have to give a few of these a try! Great review Diane! Like you, I'm a make-everything-from-scratch cook, but sometimes when I'm traveling in particular, it's nice to have a store bought dressing that I know I can trust. I'll definitely be trying these. So many gluten free products (like these dressings) contain sugar. It is disappointing to someone like me who reacts just as strongly to sugar (and corn) as to gluten. I love the Simply Dressed Ranch but I don't have it every day. How long does it keep in the fridge after opening it? I have no idea. It's fresh so I wouldn't think too long.